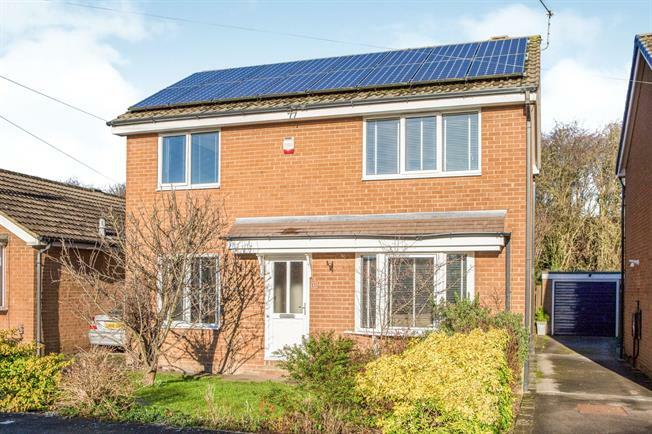 4 Bedroom Detached House For Sale in Knaresborough for Offers Over £300,000. A lovely family home offering the new owner flexiblity of space. The current owner has kept the property well maintained and upgraded the kitchen bathroom, along with both the bathroom and downstairs cloakroom. Upon entering the double fronted home, to the left is a wonderful dining room leading through to the modern kitchen over looking the peaceful garden. To the other side of the entrance hall is a living room with duel aspect to both the front and rear of the property, and cloakroom. To the first floor there are four bedrooms and a modern family bathroom. Externally there is a well maintained private rear garden, to the front there is ample off street parking, all situated on a private cul-de-sac location.